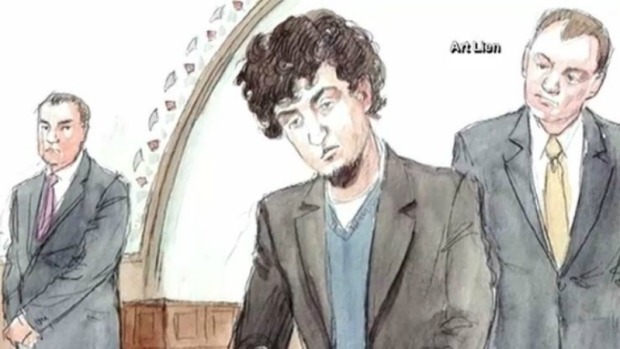 A former brother-in-law of Boston Marathon bomber Dzhokhar Tsarnaev testified Wednesday from Kazakhstan about the role of a conservative Muslim convert who steered Tsarnaev's older brother toward a stricter version of Islam. Elmirza Khozhugov, the former husband of Tsarnaev's sister Ailina Tsarnaeva, testified on live video for the defense from the U.S. Embassy in Almaty. The Tsarnaev family lived in the Dagestan region of Russia, near Chechnya, and in the former Soviet republic of Kyrgyzstan before moving to the U.S. in 2002, when Dzhokhar was 8. A federal jury will soon decide whether Dzhokhar, now 21, should be executed or sentenced to life in prison for the 2013 bombings that killed three people and wounded more than 260. The defense is trying to show that Dzhokhar was heavily influenced by his radicalized 26-year-old brother, Tamerlan, whom they call the mastermind of the plot. Tamerlan was killed days after the bombing during a getaway attempt. Khozhugov said the Muslim convert named Misha often visited the Tsarnaev apartment in Cambridge, Massachusetts, to talk to Tamerlan about Islam. "I wouldn't call it formally a lesson, but he was teaching him and suggesting books to read ... expressing his own views about that faith to Tamerlan," Khozhugov said. Khozhugov said one night, father Anzor Tsarnaev came home from work and wanted to take a shower. But mother Zubeidat stopped him because he would have to walk through the kitchen, where Misha was talking with Tamerlan. "Anzor would say, 'Why is he so late at night .... in my house?' ... She would say, 'Don't bother them, Misha is teaching your son good things,'" Khozhugov said. He said Tamerlan told him he quit boxing, stopped taking acting classes, and stopped playing and listening to music after Misha said those things were not appropriate in Islam. Khozhugov also described the close-knit relationship between the brothers. He said Tamerlan often couldn't find the words to express how much love he had for Dzhokhar and how he was willing to do anything to help Dzhokhar be successful in life. 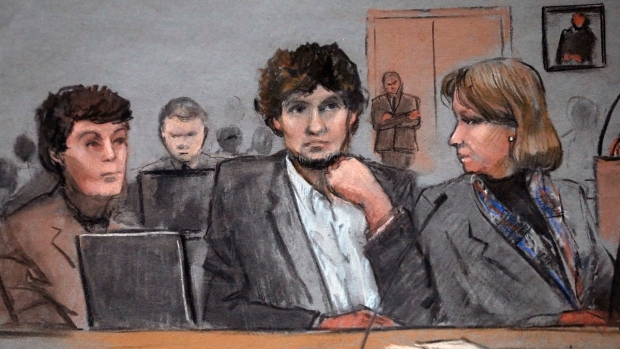 Necn's Alysha Palumbo and Daily Beast reporter Susan Zalkind joined necn to discuss Boston Marathon bomber Dzhokhar Tsarnaev's family testifying for the defense in his death penalty trial. Dzhokhar, in return, adored Tamerlan, Khozhugov said. "He listened to Tamerlan. He went along any time Tamerlan would say, 'Let's go do this and that,'" Khozhugov said. "He would just go along and always find time to actually go along." Throughout the trial, the defense has told jurors throughout the penalty phase that if given a life sentence, Tsarnaev would end up at the federal supermax prison known as ADX in Florence, Colorado. Boston Marathon bomber Dzhokhar Tsarnaev's father was diagnosed with post-traumatic stress disorder, claiming he was tortured in a Russian camp during the Russian-Chechen war in the 1990s, a psychiatrist testified Tuesday. The defense called retired Federal Bureau of Prisons warden Mark Bezy to testify about the limitations on inmates like Tsarnaev with Special Administrative Measures, or SAMs, who are put in what's known as the H Unit. For these inmates, visits, phone calls and mail are limited to immediate family and limited in number. But on cross examination, the government got Bezy to agree that for some inmates the SAMs lapse and they're moved out of the H Unit - and he reluctantly told the jury there is a "step down" program where incentives are used to get inmates into a less restrictive environment than what the jury has been told Tsarnaev would be kept in.